OVER 55,000 PEOPLE have been sanctioned under the JobPath scheme, the Dáil has been told. In a rare move, Fianna Fáil and Sinn Féin teamed up yesterday evening to slam the government’s job activation programme. Sinn Féin spokesperson for Employment Affairs and Social Protection, John Brady moved his motion calling on the government to end the referral of jobseekers to JobPath. TheJournal.ie revealed last year that the private companies contracted by the State to run the scheme are entitled to €3,718 for every jobseeker that gains sustained employment for one year through the JobPath scheme. Those that refuse to engage with the scheme can have their social welfare reduced or cut off. In the last number of months, criticism has been levelled at the private companies that operate the scheme, with politicians highlighting a number of issues. Launching the Dáil motion, Brady said issues and concerns highlighted about the scheme continue to be ignored by government. “JobPath is compulsory. If a participant has a part-time job or family commitments, it does not matter, they are forced to attend and engage with JobPath. “This compulsory nature is not helpful and it needs to be removed, the motion before us today calls for this,” said the Sinn Féin deputy. Fianna Fáil’s Willie O’Dea said his party would be backing the Sinn Féin motion, adding that he has serious reservations about the privatisation of job activation schemes when it is the job of the State. “The rigid model simply isn’t working,” he said, adding that countless people are under threat of sanction and are being pushed into jobs that are “unsuitable, utterly inappropriate and very low paid”. O’Dea told the Dáil that since JobPath’s arrival in Ireland there has been an “explosion” in social welfare sanctions taken against people who have raised issues with the scheme and questioned its merit. He said 55,000 social welfare sanctions have taken place since the scheme’s inception in 2015. 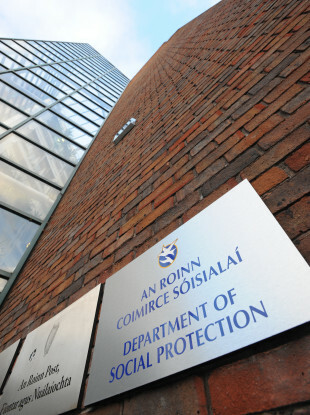 O’Dea added that he found it very concerning that a private company can make a recommendation about sanctioning someone to the Department of Social Protection and the department simply “rubber stamps it” with no investigation of its own. Sinn Féin’s Louise O’Reilly highlighted a case that had been raised by researchers in an Oireachtas committee recently where a man in the JobPath employment activation scheme had his CV amended against his wishes to conceal his ethnicity. She called the scheme “coercive” and “ruthless”, adding that it leaves people feeling “degraded”. Defending the government’s scheme, the Minister for Employment Affairs and Social Protection Regina Doherty said approximately 41,000 individuals have found full-time jobs while engaged with the JobPath service – with a further 5,000 finding part-time jobs. However, Fianna Fáil’s Lisa Chambers accused the minister of giving one angle to the figures, highlighting that the 41,000 people that have found work, only 9% have actually held a job for longer than 12 months. She said that percentage can hardly be defined as a success by the minister, and said the minister was not transparent in the success rate of people who have managed to hold down gainful employment on the back of the scheme. The minister said the JobPath service providers are focused on delivering an intensive activation service tailored to the needs of long-term unemployed jobseekers, adding that there is a high level of satisfaction from those that go through the scheme. Brady said he and other TDs don’t sit at home “dreaming up” the many examples of unhappy jobseekers highlighted in the Dáil in the last number of months. He accused the minister of peddling more “spin” and urged the government to be “big enough” to admit the scheme has failed. Email “'Explosion in social welfare sanctions': SF and FF team up to slam government's JobPath scheme”. Feedback on “'Explosion in social welfare sanctions': SF and FF team up to slam government's JobPath scheme”.